The Hinesburg Business and Professionals Association is a coalition of local business owners and active community members whose mission is to “promote local businesses, support local charitable organizations, encourage community service and foster communication and cooperation among members.” The HBPA has around 60 members, with about 15 active members who gather at 4:30 the third Tuesday of every month at local Hinesburg restaurant Papa Nick’s. Members work to organize and promote fundraising events which help to support the Hinesburg Community Resource Center and Hinesburg Food Shelf, scholarship funds for Champlain Valley Union High School, as well as local businesses, families and individuals in need of support. 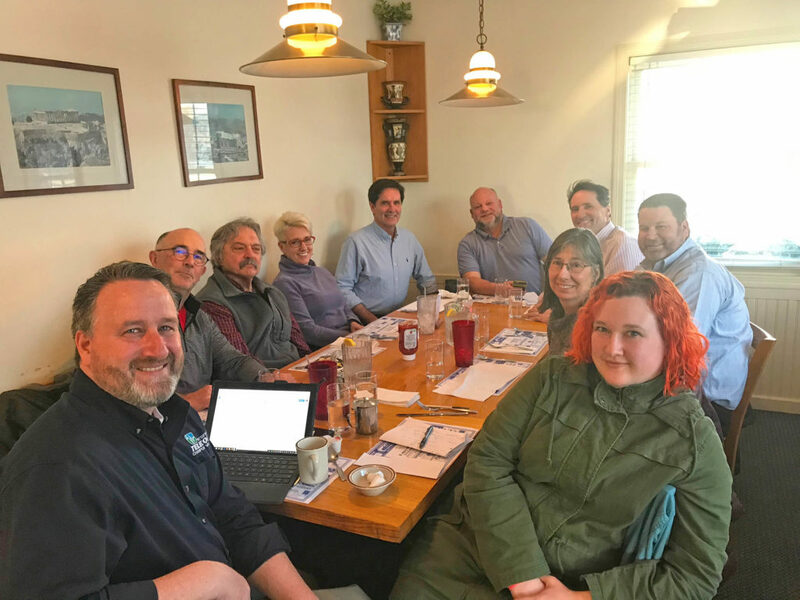 From left to right: Kris Merchant, Mike Dee, Walter Hausermann, Kristen Wahner, Kevin Lewis, Stuart Deliduka, David Palmer, Will Eggleston, Roberta Soll and Laura Gurdak. The HBPA has around 60 members and holds meetings at Papa Nick’s. The most active members, pictured here enjoying each other’s company at Papa Nick’s and discussing their fundraising efforts, include Walter Hausermann, who has been president of the HBPA for more than eight years, as well as Laura Gurdak from Hinesburg Hair Studio, who is currently taking over the position as president. Other active members include Mike Dee of Dee Physical Therapy; David Palmer of Palmer Insurance; Stuart Deliduka with Element Nail Salon; Kristen Wahner, Jean Isham and Kevin Lewis all with the Hinesburg Record, Will Eggleston from the National Bank of Middlebury; Roberta Soll and Karla Munson with the Hinesburg Community Resource Center; Kris Merchant from Waitsfield and Champlain Valley Telecom; Tricia Chaput of Aubuchon Hardware Store; Peter Crapo with Community Bank N.A. ; Darrel Depot of PuroClean and Natalie Tucker Miller of Hausermann-Luce Insurance Agency, LLC. Fundraising events integral to the HBPA’s continued service to the Hinesburg community includes the springtime Community Yard Sale event, which is taking place this year from 8 a.m. to 1 p.m. on May 11. The yard sale is going on its 22nd year in operation within Hinesburg, with a great amount of support seen from both Hinesburg citizens and locals from surrounding towns, with some participants traveling from as far as New York to enjoy the townwide event. The HBPA Community Yard Sale begins at the fire station on May 11. The sale begins at the Hinesburg Fire Department, where raffle tickets can be purchased. There, several entrepreneurs and businesses who purchased a table from the HBPA will be able to sell their items. Proceeds from the raffle and the table fees will be given to local families in need, scholarship funds for CVU, funds for the golf tournament organized by the HBPA, as well as the Hinesburg Community Resource Center and Food Shelf. The yard sale attracts community members from far and wide as it also provides a map, which is distributed at the fire department, in which any household is able to list their home as a stop on the map within the yard sale event. Homeowners can list their houses free of charge up to a week before the day of the sale. If you would like to purchase a table or be listed on the map, please contact Walter Hausermann at 802-878-7144 or walterh@gmavt.net. The Golf Open (a.k.a. “Fundraiser Fore Fireworks”) is another major fundraising effort for the HBPA. The Open helps to raise funds for Hinesburg’s town fireworks, and is enjoying its third year of success at Cedar Knoll Country Club. The Golf Open will be held from 8 a.m. to 1 p.m. on Saturday, June 8, 2019, and requires a registration fee of $75 per player for a four-person team in order to participate. Around 50 local businesses also sponsor golf tees every year, and both the registration fees and the tee sponsorship revenues greatly assist the town in its ability to put on their Fourth of July fireworks event. At the end of the open, prizes such as best in class will be distributed, among other recognitions. 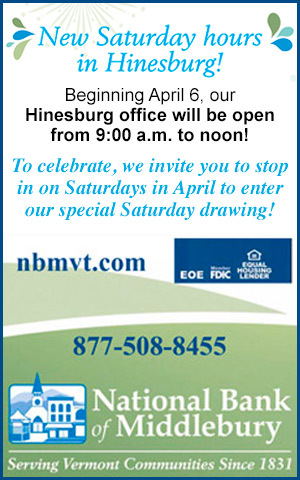 Registration for the open will be sold at the fire department during the May 11 yard sale, as well as listed online on a soon-to-be-available Eventbrite page, the Hinesburg Recreation Department website, and www.hinesburgbusiness.com. Further questions regarding the open and registration can be directed to David Palmer at 802-482-5678 or davepalmer@palmerinsurancevt.com. The Golf Open revenues greatly assist the town in funding the Fourth of July fireworks event. The Hinesburg Business and Professionals Association also organizes community events such as barbecues and other fundraisers which help to promote local businesses and charitable organizations, as well as foster a deep sense of community within Hinesburg residents. Living within the shadow of Burlington, the largest city in Vermont, can have its challenges, as Stuart Deliduka and Laura Gurdak tell me. As Stuart puts it, due to the small nature of the Hinesburg population, many locals feel as if “a lot of the services and support is structured around Burlington, South Burlington, Winooski, Colchester … but not Hinesburg.” This lack of support means that many residents, such as Laura, feel as if Hinesburg is on its own. Despite the lack of resources, Hinesburg’s independence from surrounding towns allows Hinesburg to enjoy a rich sense of community engagement and support, embodied by the HBPA and the organizations it assists. If you want to help Hinesburg continue to thrive, please consider attending a meeting, becoming a member or supporting any of the HBPA’s fun and charitable fundraising events. Please contact HBPA.Laura@gmail.com to become a member or learn more about the fundraising events and how you can assist or participate. Of Vermont’s 17 bumblebee species, four have gone extinct, according to a recent study conducted by the University of Vermont and Vermont Center for Ecostudies researchers. 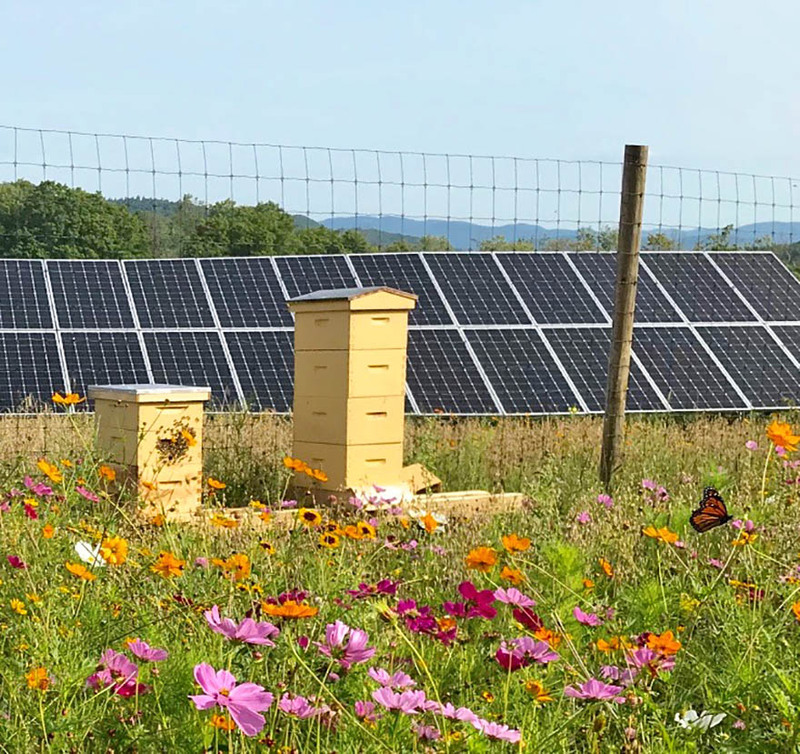 This is an unprecedented loss, and it threatens the pollination of most crops in Vermont, such as blueberries, tomatoes and apples, even with nonnative honeybee populations. 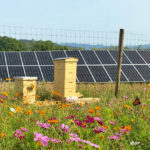 The Vermont-based organization Bee the Change is working to combat some of the human causes for this rapid decline in insects by offsetting our footprint. Most of us work to offset the impact humanity has on the environment by turning off the lights and conserving water, but as Mike Kiernan, one of the founders of Bee the Change, tells me, “that’s an important part of the picture of the human footprint, but it’s not the entirety. The entirety realizes the space that we are occupying as a species.” According to recent North American bee studies, one of the principal reasons so many insect species are at risk for extinction is because the habitat they once enjoyed is being occupied by humans. 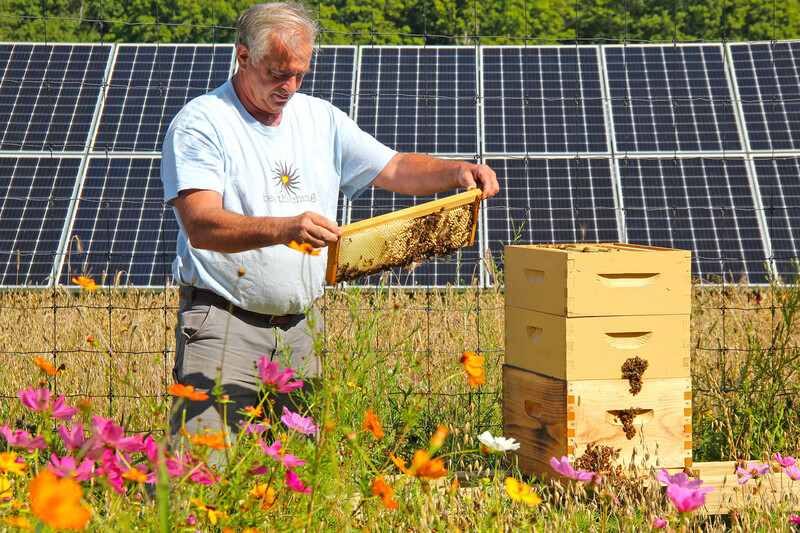 See Bee the Change’s work in action at a solar field on Magee Hill. ENGIE agrees with Bee the Change in that our nation must prioritize fostering native pollination and restoring natural habitats in every space possible. 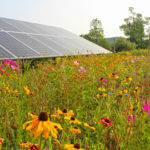 Gavin Meinschein, lead civil engineer at ENGIE, tells me that “pretty much 100 percent of the sites we’ve developed over the last four years are pollinator friendly, or are restoring the natural area. It’s more about what makes sense for the region.” ENGIE’s end goal is to have a positive environmental impact, and they are working with the National Renewable Energy Laboratory and the University of Minnesota to figure out how they can quantify what the economic or environmental impacts are of their restorative project. Bee the Change will work with anybody and help them in any way. 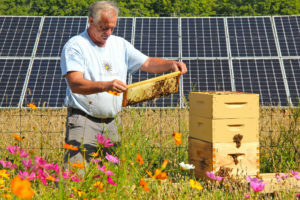 While the long-term impacts are unknown, Bee the Change has surveyed the immediate effect they’ve had in a year since planting their first field. Before installation, there were 17 unique pollinator encounters. One year later, on the same date and conditions, they found 174 different pollinators. 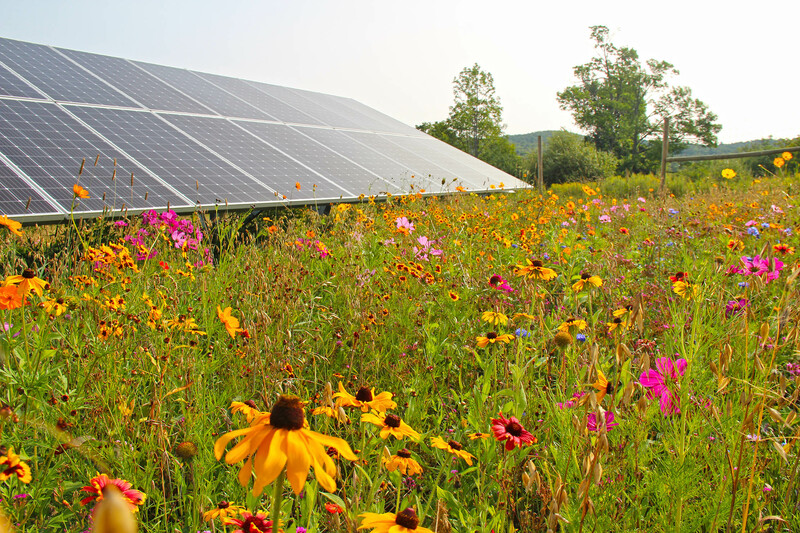 This increases plant productivity in the area, which helps support other species. In our own lives, Bee the Change urges us all to be more aware of the spaces we occupy, and what cannot be there anymore because we are. Bee the Change “will be happy to work with anybody and help them in any way. You can do the work or not do the work, we can consult for free. Anybody that wants to talk with us, we’ll travel and talk about it.” Whether it be in your own life, or helping nearby empty spaces make the change, there are many ways we can help support our native insect pollinators before it is too late. CSA is a farming method in which shares of the produce a farmer expects to grow in a given season can be bought. 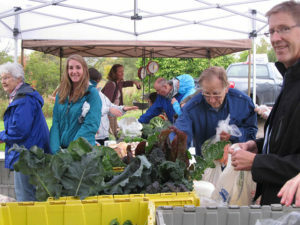 According to the original model, customers then receive a fixed share of the produce throughout the season. 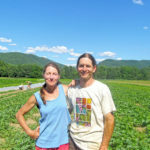 Full Moon Farm, owned and operated by David Zuckerman and Rachel Nevitt, adjusted their CSA model when the demand for new shares stagnated. The original intention of their CSA was “to create the direct consumer to farmer connection.” Today, their CSA model has changed, but the intent behind it has not. Not everyone enjoyed “the ‘inconvenience’ of having to be at a specific time and place to get the food that was prescribed for you,” so their CSA adapted a “choose your own produce” policy with more flexible pickup hours, while the direct relation to their customers was preserved. The CSA…is of the upmost importance to the continued survival of small farms. 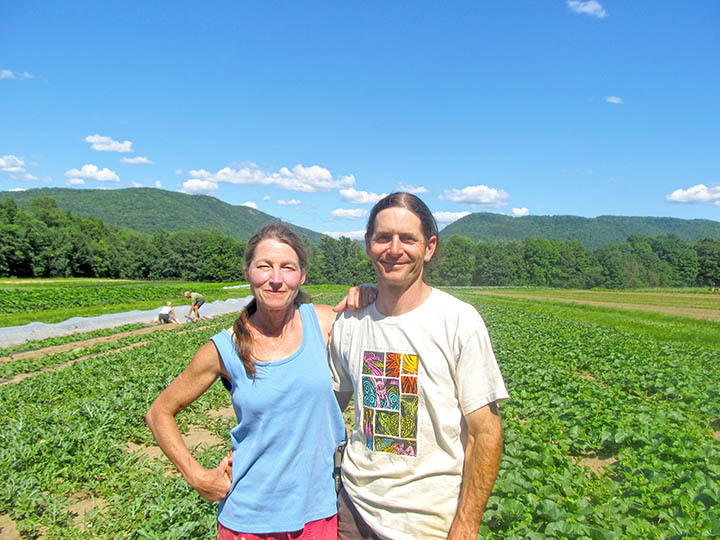 Trillium Hill Farm is owned and operated by James and Sara Donegan. Trillium Hill has also been experiencing declining interest in their CSA, and selling at farmer’s markets offers more potential for inconsistent sales. James tells me that although “the vast majority of people would not be satisfied with the financial return, I’ve decided to keep limping along with it.” James and Sara are always adapting to the changing demands of their customers. “Right now, it seems like there’s less interest in CSAs and more in the grocery stores.” The so-called “world of convenience” has impacted a variety of businesses, but arguably, small farmers are the hardest hit of all. Incoming grocery stores may further threaten the ability of farmers like James and Sara to continue to operate their farm. Since Trillium Hill is a smaller producer, they aren’t sure larger chains would bother buying from them. Trillium Hill currently sells to a variety of local grocery stores, but when the CSA option is forgone, some of that direct customer relation is lost. 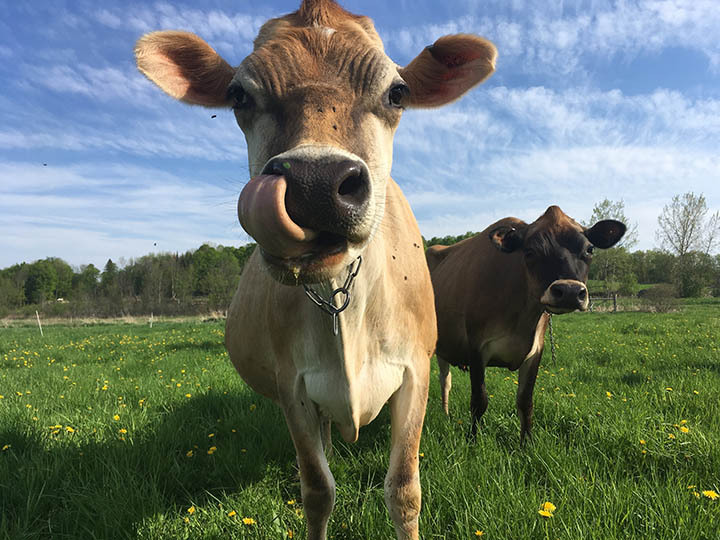 “As I do more sales at grocery stores, there will be more customers who are looking at the options and don’t necessarily know Trillium Hill Farm or me.” Because of that disconnect, James is not able to share that his farm practices organic farming methods, but is not certified organic. Despite the waning interest in Trillium Hill’s CSA, “it seems like the grocery stores are more and more interested, and people are increasingly looking for more local foods in their grocery stores.” Continuing to receive the community’s support, whether it be within the CSA, at your local grocery store, or eating out at a restaurant, is of the upmost importance to the continued survival of small farms. As Aubrey tells it, and many other farmers will agree, “farming is one thing, but it’s running a business.” The business aspect poses constant challenges for farmers who must also care for their farms every single day. Today, the responsibility to educate and spread awareness of the many benefits of eating locally and organically, especially through CSA, falls on the shoulders of the farmers already working in the field. In the coming years, we should work to ensure that responsibility rests with us all. 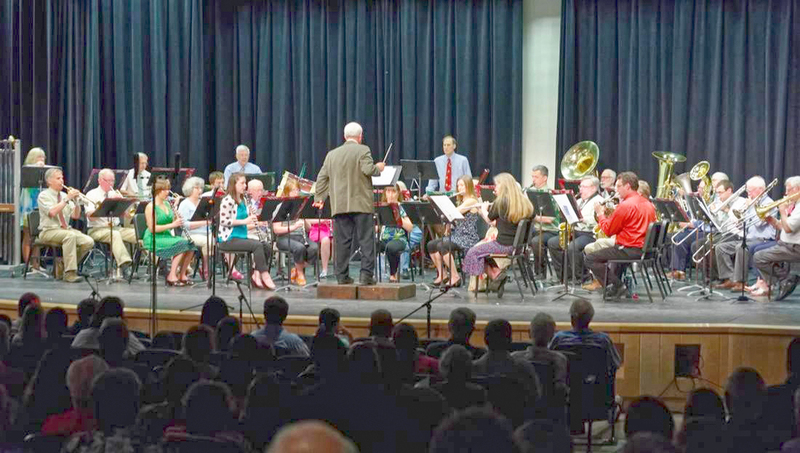 Hinesburg residents and surrounding community members have been sharing their love of performing and appreciating live music for generations. This month, The Hinesburg Record took a look at some of the local legends who enjoy sharing their musical talents and who are encouraging others to do the same. Rufus Patrick directing the Hinesburg Community Band. As a long-time musician based in Hinesburg, Rufus Patrick founded the Hinesburg Artist Series in 1997. Rufus is the artistic director of the HAS, which includes the South County Chorus, the Hinesburg Community Band and the a cappella group In Accord. Over the years, the HAS has allowed him to “meet people from other states, other schools … the network just grows. It really is a huge community. It keeps [me] young,” and it continues to grow and change every year.Rufus’s years of directing has allowed him to pass much of what he knows down to the those looking to learn. 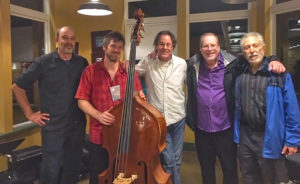 “The old line is, you always want your students to be better than you are,” and according to Rufus, “it works that way.” With the help of the HAS, people who hadn’t played or sang in 10 to 20 years are “not only playing again, but they’re realizing that they used to be good.” Rufus has watched young students go on to do great things, and others who haven’t played in years come back to life. He is always encouraging others to do the same and get involved in Hinesburg’s rich musical community. If you’d like to join in on the fun, visit hinesburgartistseries.org to find out when the next rehearsal is. The chorus and band are always welcoming newcomers with no auditions, fees or dues required. 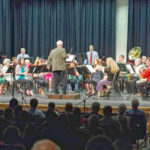 If you are searching for a different way to get involved in Hinesburg’s musical community, then look no further than Jody Albright. Jody is a jazz and blues vocalist, voice instructor, and more recently, circle-singing leader. Beyond her involvement in a local blues band, the Bluesburgers, Jody also teaches circle-singing. Circle-singing is an improvisational group exercise in which a leader teaches melodies to members of the circle. As group members embody the rhythm and sound of the music, the exercise becomes meditative and spiritual in nature, bonding the group. Jody divulges that the main “goal of [circle-singing] is to help people feel confident enough to lead.”Jody loves circle-singing specifically because it’s not a performance, as performing can be intimidating for those who haven’t grown up singing. “It’s just singing for the sake of singing … it’s a healing thing.” If you are interested in learning more about singing in a classroom setting, Jody is teaching a Fundamentals of Singing class at CCV this spring. If you would like to take part in a circle-singing session, attend an upcoming session on Feb. 10, 3-4:30 p.m. at the Hinesburg Town Hall, or on Feb. 24, 3 p.m. at the Montpelier River Rock School.A fellow Bluesburgers band member, Dan Silverman, is a local trombonist whose jazz group, the Sixth Finger of Jazz, often collaborates their performances with local singers, dancers and poets. Dan and his co-performers love to play, but most musicians find themselves having to secure an unrelated day job to pay the bills. “If I could live my life the way I want to, I would be playing music all the time, but it just doesn’t pay.” Despite the financial strains, Dan and his fellow band members have found sustainable ways to foster their love of music. One of these ways is in the form of the Sixth Finger of Jazz, a coalition of local musicians who gather one Thursday of every month at the Bristol Bakery & Café. Young or old, shy or bold, Hinesburg’s welcoming, talented music community has a place for your involvement. Whether you prefer casual appreciation or you’re looking to hone your skills, don’t hesitate to get yourself out there — there’s plenty in store.